It’s funny how I am always ‘just discovering’ artists that have been around for decades, and then once I see their work, I start seeing it all over. It happens all the time. For example, I was just vacationing in Boston last month and paid a visit to that city’s really fantastic Museum of Fine Arts, which everybody should visit. 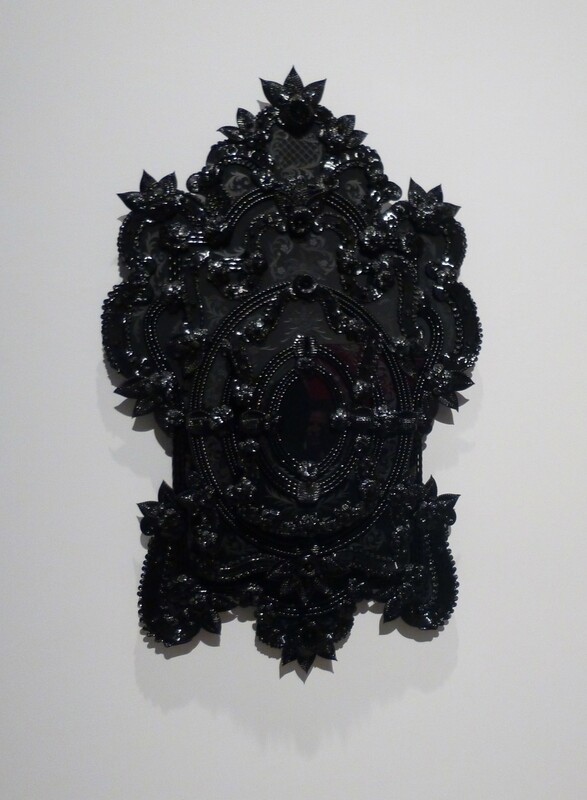 In the contemporary art wing at the MFA, I became enchanted with this work by Fred Wilson called Lago’s Mirror, which is a huge, ornate wall mirror made up of layers of black glass. It was so totally my thing and I stared at it for about ten minutes. Art! So, it was very fortuitous that I ran into a couple of my neighbors during my September 11th Art Crawl and they raved about an exhibit that wasn’t even on my list for the evening “over at Pace” – which they insisted I absolutely had to check out. 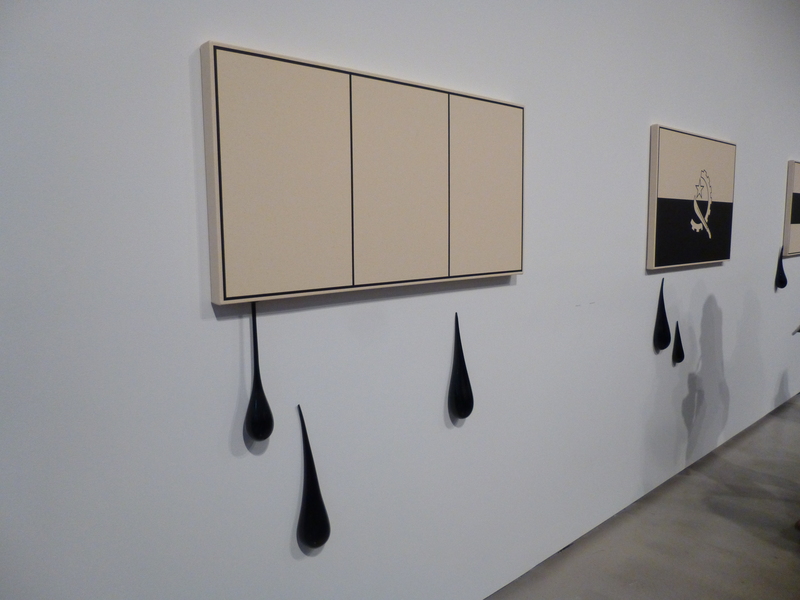 This exhibit turned out to be Fred Wilson’s Sculptures, Paintings and Installations 2004 – 2014 — a fantastic retrospective to see in Pace’s cavernous 25th Street space. Also: free wine! 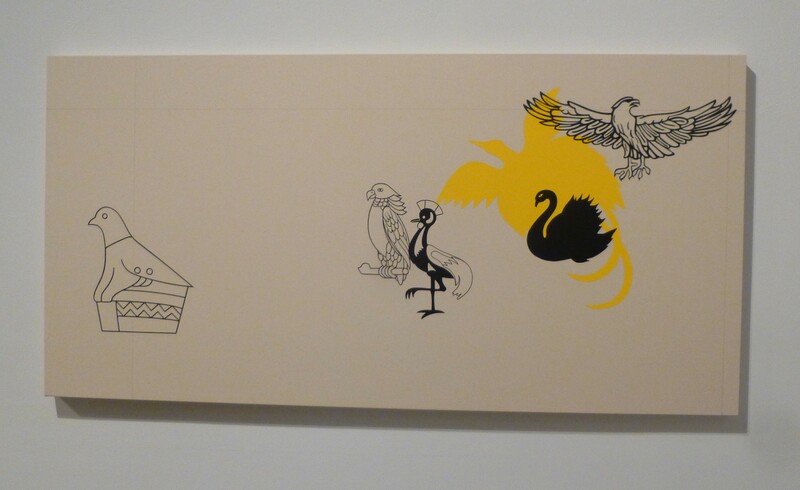 Here’s a little background from the exhibit’s Press Release. Since the beginning of his career, Fred Wilson has created a diverse range of work that challenges assumptions of history, culture and race. 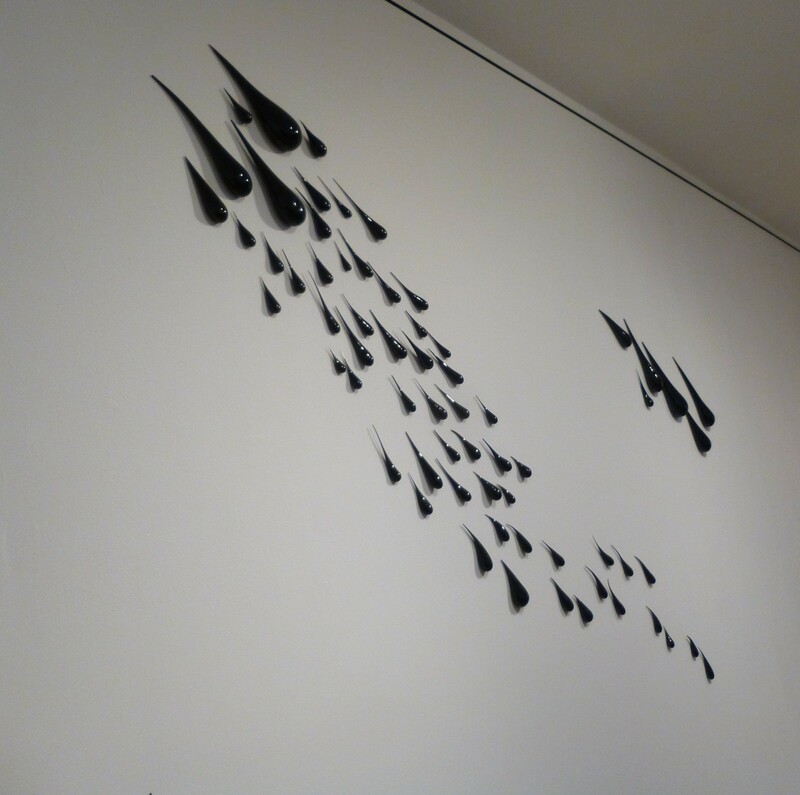 Pace’s exhibit features works from the past ten years, including several that have never been exhibited. A catalogue featuring an essay by Doro Globus accompanies the exhibition and also gives further insight to the work and its deeper meaning. I’m going to include some of that essay here because I think it adds value for anyone who is going to see this exhibit maybe not knowing anything about Wilson up front. Please enjoy some of my photos from the show! 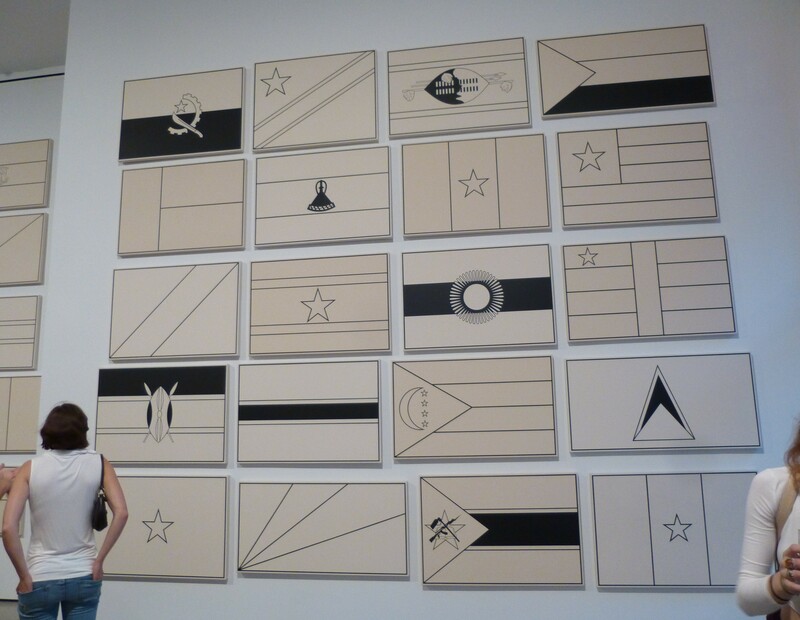 This exhibition features Wilson’s complete Flag Series, which has never been exhibited in its entirety. 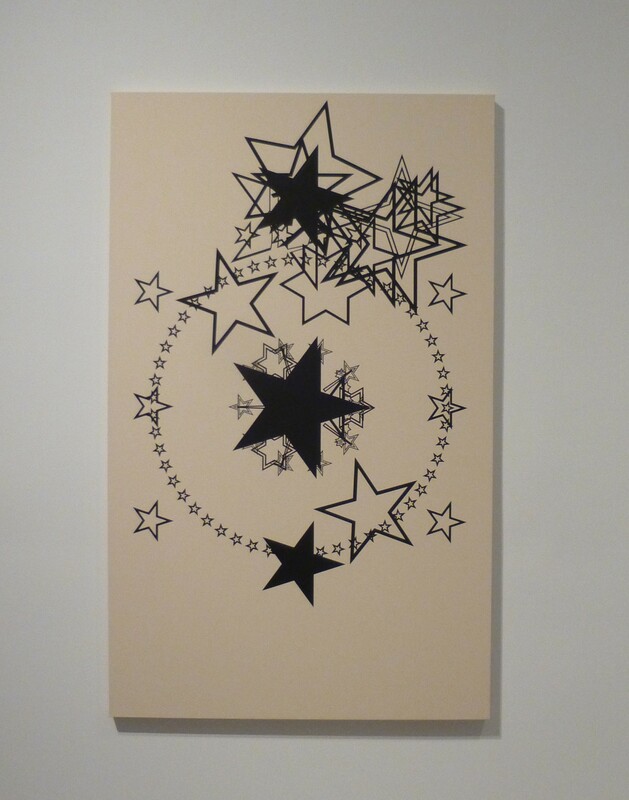 His newest work featuring Flag images, Black Birds (above) and Black All Stars (Below) isolate bird and star iconography from the flag of Africa another “black identified” countries, rendering these symbols onto a canvas surface exactly where they would be positioned on their respective flags. 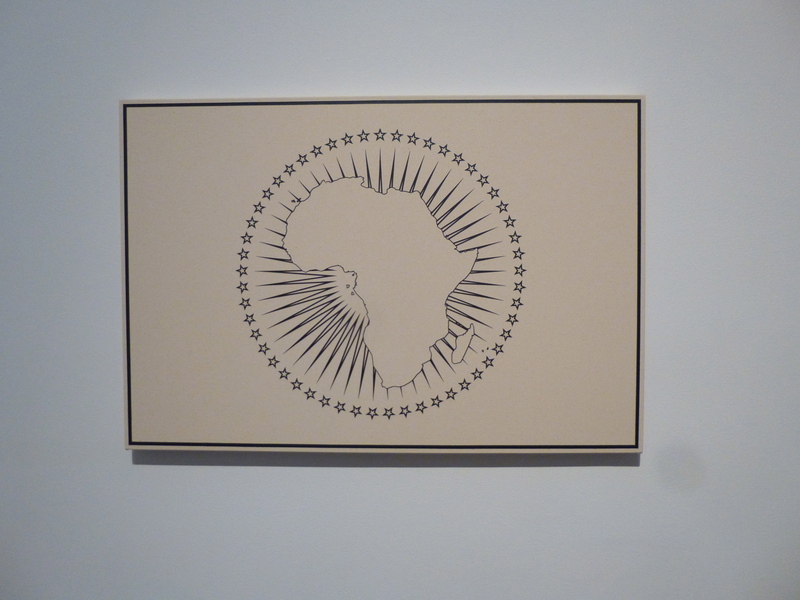 In Don’t, Wilson superimposes various flags from our nation’s history on top of one another. 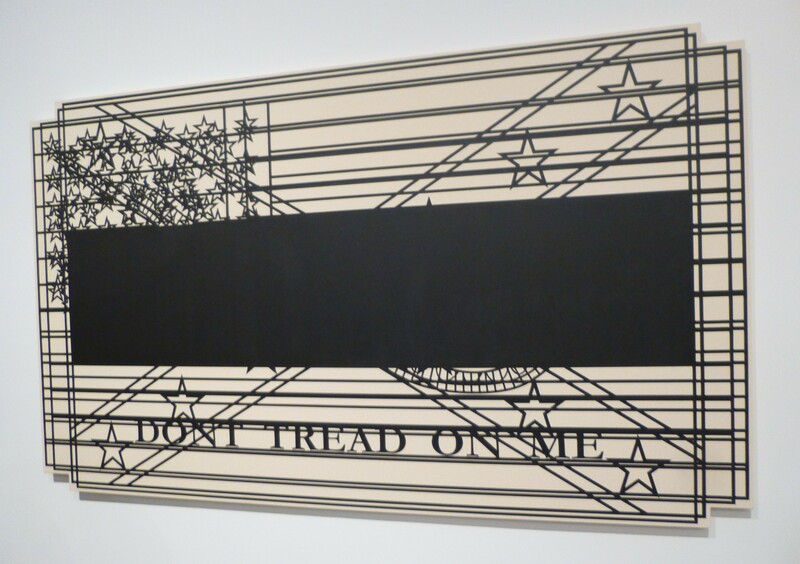 Clearly visible are the phrases “Don’t Tread on Me” from the Gadsen flag, the X from the Confederate flag, the horizontal band from the Black Liberation flag and the Stars and Stripes from the American flag. I love the 3-D look of this painting! 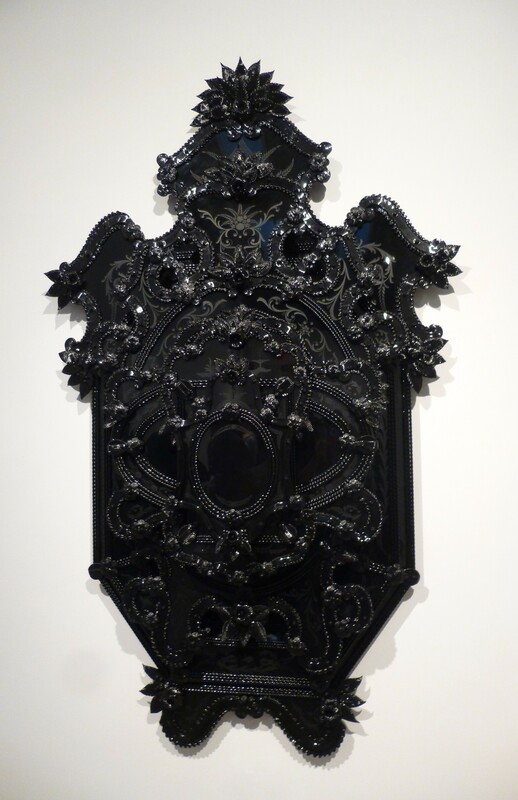 There are also two new black venetian glass mirrors in the exhibit, which were definitely the talking points of the evening. Go see this exhibit to find out what these mirrors are all about! 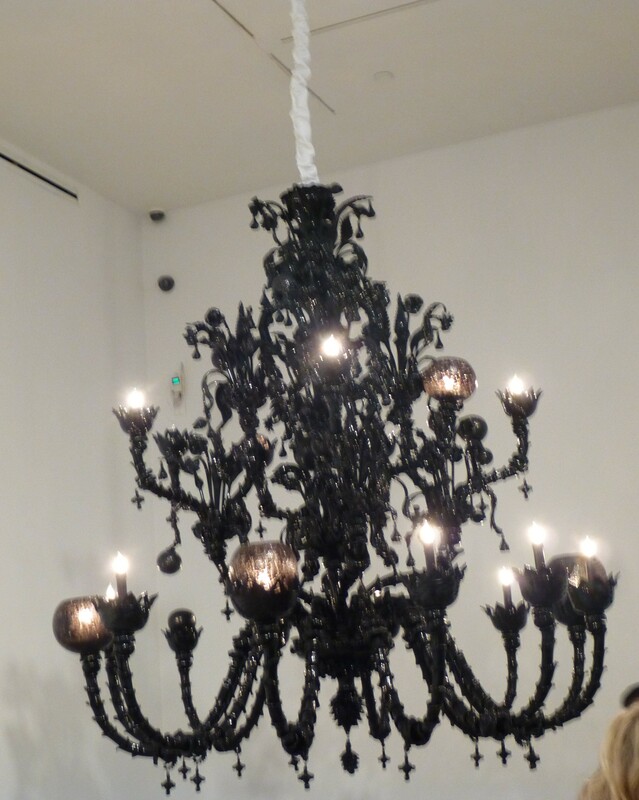 I learned a a lot about Fred Wilson at the Pace exhibit and I like his work even better now. Fred Wilson! 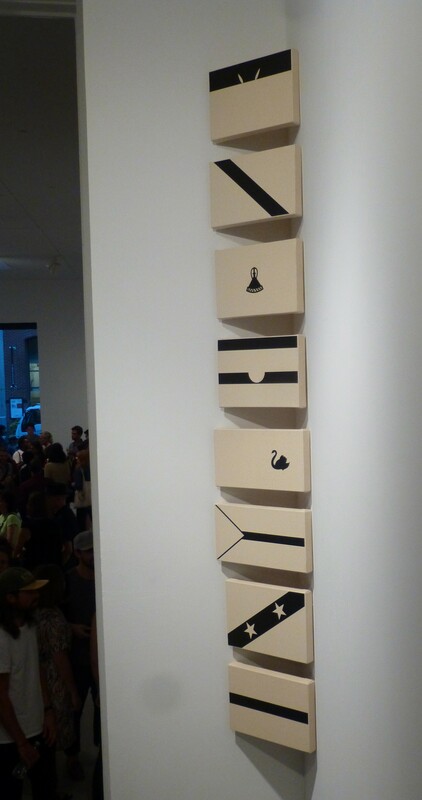 Fred Wilson’s Sculptures, Paintings and Installations 2004 – 2014 will be on Exhibit Through October 18th, 2014 at Pace Gallery, Located at 534 West 26th Street in the Chelsea Gallery District.